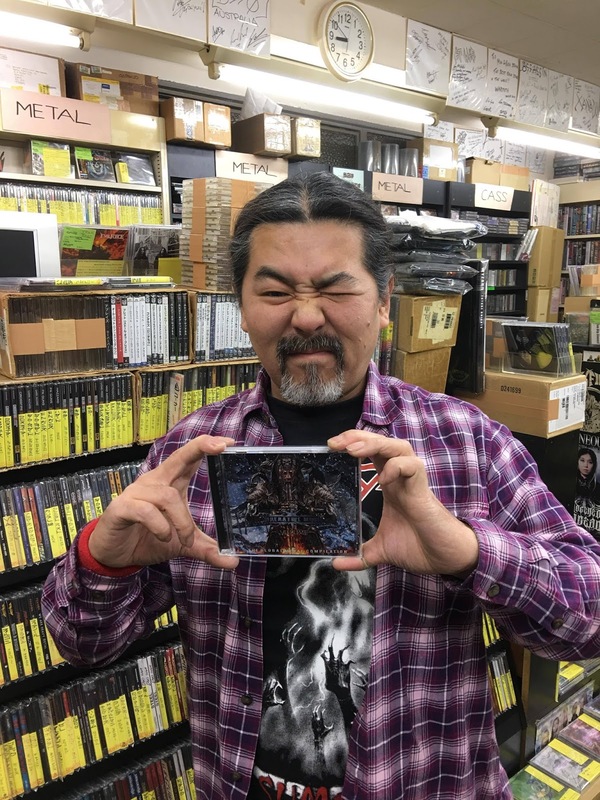 Mikitoshi Matsuo enjoys Imperative Music Compilation CD Volume 14. Owner of ROCK STAKK RECORDS – Osaka, Japan. ARMORED DAWN (Brazil), KREATOR (Germany), OBITUARY (U.S.), NOVEMBERS DOOM (U.S.), SURVIVE (Japan), CROMATHIA (Brazil), HETEROGENEOUS ANDEAD (Japan), DEATHTALE (Austria), NIGHTQUEEN (Belgium), INNER CALL (Brazil), TRECELENCE (U.S.), ATLÂNTIDA ON DEMAND (Portugal), METASPHERICAL (Canada), BREAKOUT (Sweden), KARYTTAH (Brazil), NEOGENESE (Brazil), XAKOL (Brazil), AMETHYST (Costa Rica), SHADOWHISPERS (Luxemburg), PRIOR THE END (Germany), DOGFRIES (France), THE UNDEAD MANZ (Brazil), BOMBSCARE (U.S.), WINTERHEARTH (Canada), CADAVER DISPOSAL (Germany), EXPULSION (U.S.), MIYAMA-GT (Japan), CORE DIVIDER (Brazil), COSMIC RUIN (U.S.), TORTURIZER (Brazil), APOPHANOUS (Brazil), THE GENERATIONS ARMY (Sweden), ONE STEP TO FALL (Portugal), ENEMY I (Germany), NUMBNESS (Brazil), STONERIA (Brazil), CHAD FREY (U.S.), SNAKEBONES (Austria), RISINGFALL (Japan).